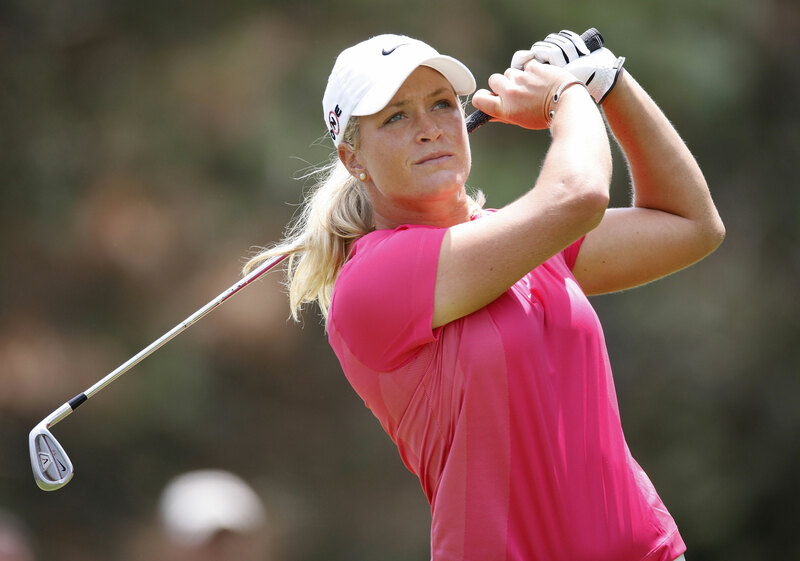 As we await for the LPGA to resume its schedule, I would like to do another LPGA profile. These profiles have proven very popular with my readers. Suzann Pettersen holds up her 2013 Evian Championship trophy. Suzann was one of several LPGA players to pose in the 2012 edition of ESPN The Magazine "Body Issue." Suzann Pettersen won the 2011 Sybase Matchplay Championship. Suzann Pettersen with yours truly. 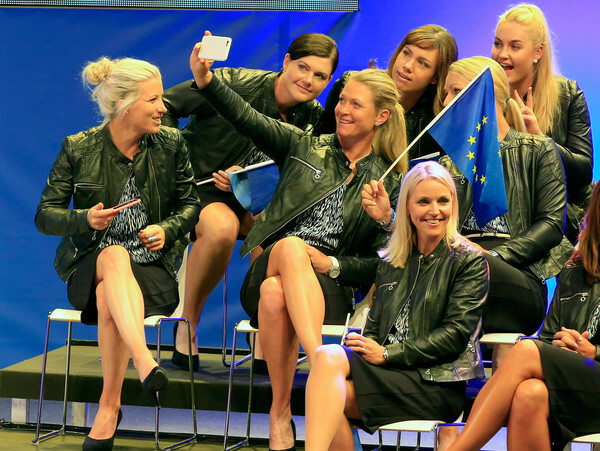 Suzann (pictured in center holding camera) has represented Team Europe 8 times in Solheim Cup play. How many different players occupied the number one spot on the Rolex Rankings in 2017? Can you name them? For the the answer to this week's trivia question press here.